KINGS CANYON NATIONAL PARK — More than 120 visitors and staff who became snowbound in a Sierra Nevada resort due to recent storms have been freed. 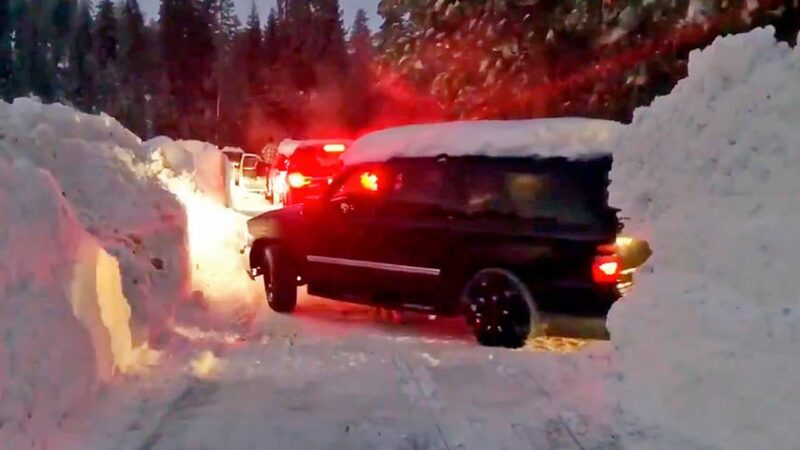 The U.S. Forest Service says snow trapped the guests and staff on Sunday at a lodge at Montecito Sequoia Lodge in Kings Canyon National Park. A Forest Service statement says crews traveled by snowmobile to the lodge Wednesday morning to ensure everyone was safe and then returned Thursday with supplies. Heavy equipment and crews then cleared eight miles of snow, including drifts of up to 7 feet high, and more than 20 fallen trees on Generals Highway. Though some got bored during the snow-in, said U.S. Forest spokeswoman Alicia Embrey, the lodge had enough food, fuel, and general supplies to keep everyone comfortable. 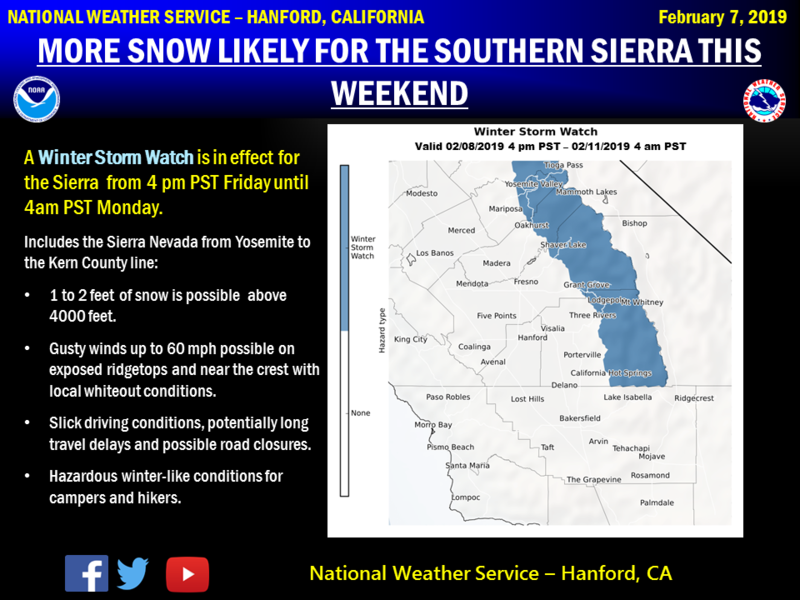 The National Weather Service in Hanford has issued a Winter Storm Watch advisory for the Sierra from Yosemite to the Kern County line. The advisory will go into effect at 4 p.m. today and expire at 4 a.m. Monday morning. Up to 2 feet of snow is forecast. Glad to hear everybody is in good health. Awesome job by NPS workers!